I have been working in Adobe Photoshop and thoroughly enjoying the challenges of drawing and painting in a digital format. 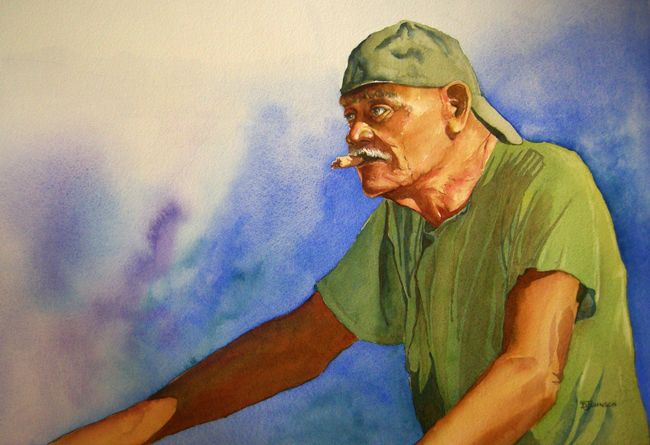 My focus has changed a bit over the past two or three years from fine art and watercolor to illustration and digital. My grandchildren are such an inspiration and make great models. They move too fast to work much from life but I have a lot of photographs of them, as probably most grandparents, to work from. This is a little sketch of my grandson, Eli. He was enjoying some ice cream with Grandma. This little mouse was caught red-handed stealing a Christmas ornament! I created this fellow in Adobe Photoshop. I hope you enjoy him. Have a wonderful holiday season! 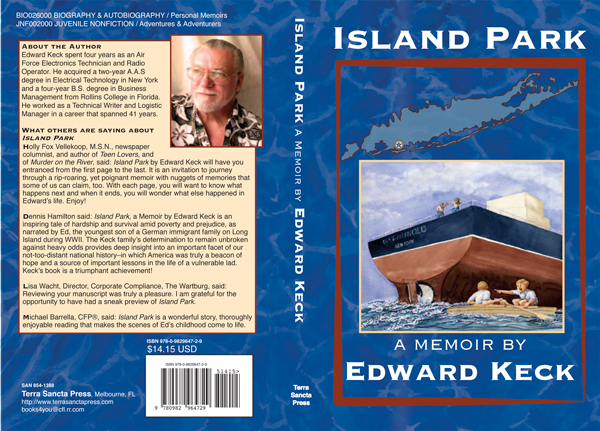 I recently worked with Edward Keck and Terra Sancta Press to create a cover for Edward’s memoir, Island Park. Edward’s story of hardship and survival is inspiring and action-packed. 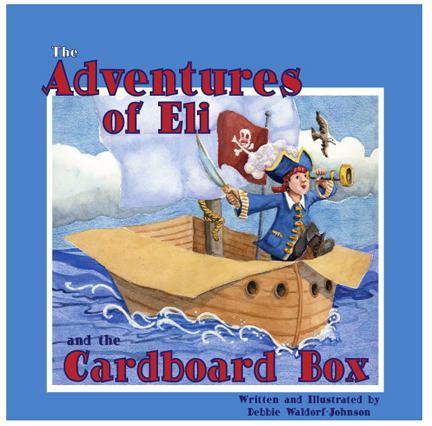 He shares the adventures of his family’s determination to stay together during heart-breaking times post World War II. He also shares the lessons of life he acquired while growing up. Inspiring. 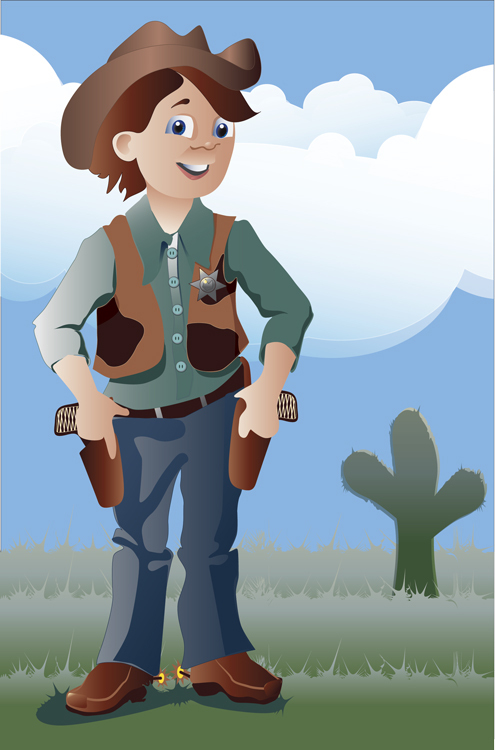 I have been playing with Adobe Illustrator and wanted to share this little guy with you. I have only used the basics on him, no textures, no special filters, just a simple drawing with color. I have been diagnosed with Trigger Thumb. It has been challenging to create artwork with a painful, non-functional thumb. I am having surgery next week and I am really looking forward to getting back to work. I have been working, however. 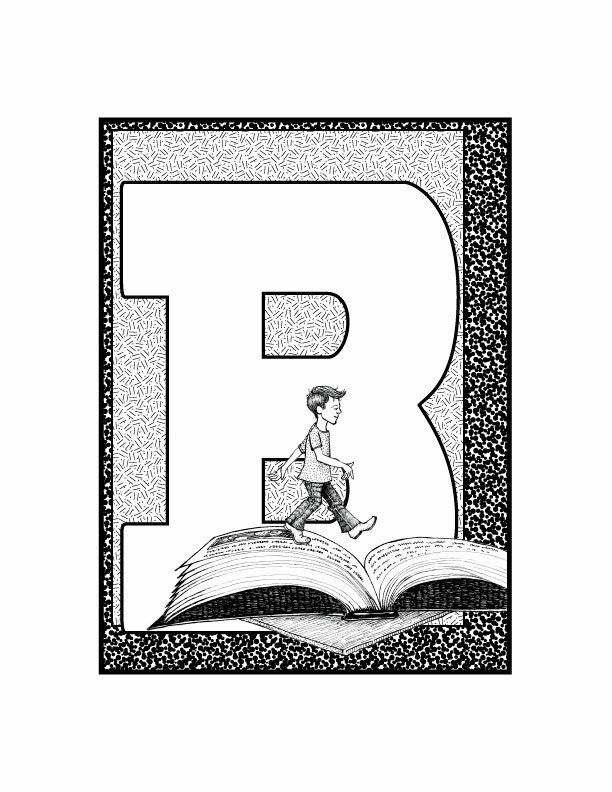 One project I am working on is for my branding items for an upcoming book fair that I am attending here in Florida. I want to feature my illustration work along with my current books, so I am creating some illustrations for a poster for my booth. 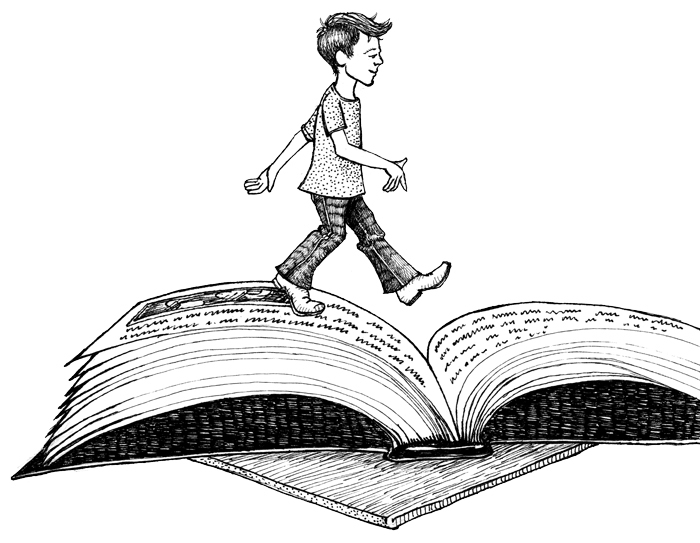 This illustration of the boy walking on a book was transformed in Adobe Illustrator to become one of several illuminated letters for the poster. Here is the finished illuminated letter. I love being able to work my hand-drawn pieces into a digital piece. 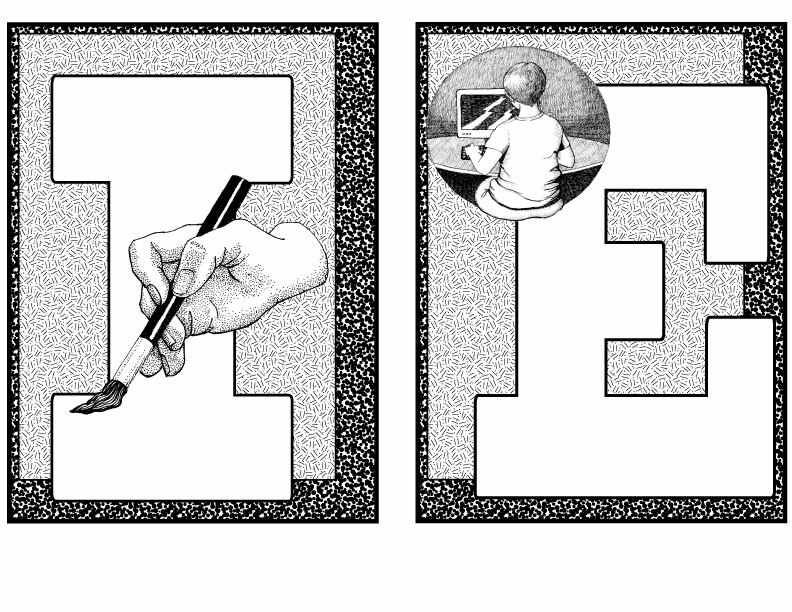 I have three letters that will be added to the poster to highlight illustration, book design, and e-book creation.